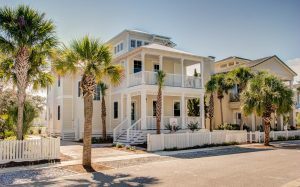 True to its name, the Coastal Retreat provides the perfect get away for those wanting to live just steps from the beach in a modern well-appointed beach home. The plentiful windows and glass doors provide an open and airy feel with light streaming in throughout the interior of this home. 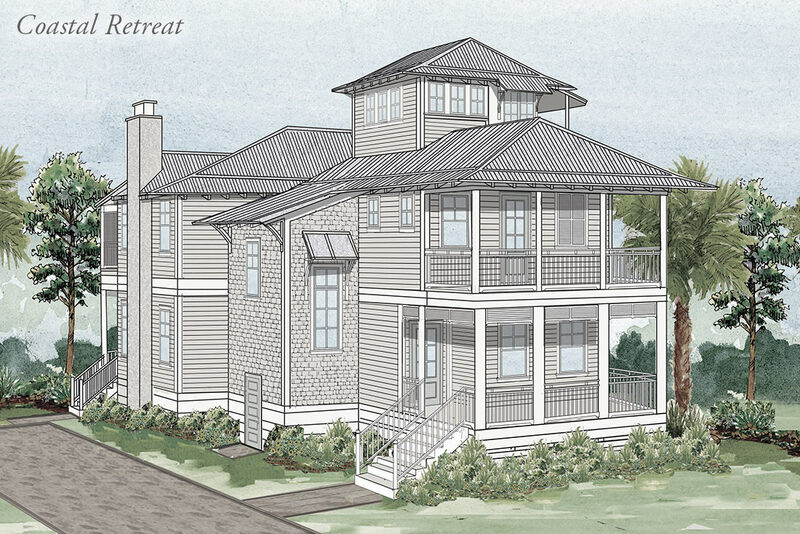 The large open floor plan lends the living and dining areas which open onto a large rear porch with Summer Kitchen. A first floor bedroom is designed to accommodate those with limited mobility. 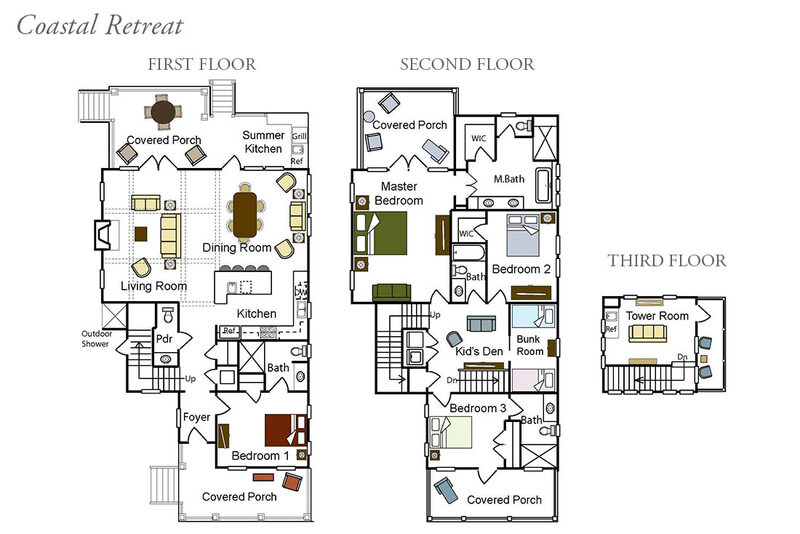 The second floor contains two additional bedrooms, an amazing master suite and a kid’s den with adjacent bunk room. Gather in the third story tower to watch sunrise and sunset while drinking your favorite beverage with family and friends. Coastal Retreat is designed for the discerning home buyer and features high-end, custom amenities that include a beamed-ceiling, a glass tile accented natural gas fireplace in the living area, French pattern tile at the living, dining and kitchen areas, stained-oak wood flooring at stairs, landings, bedrooms and tower room, stainless steel Dacor appliances, honed-marble counter tops at kitchen and Master Bath and granite counter tops in all other bathrooms, a free-standing crushed marble tub at the Master Bath, seamless glass shower enclosures, wood Lap N Gap wall accents throughout the home with tongue and groove ceilings at porches and the vaulted third floor tower room. 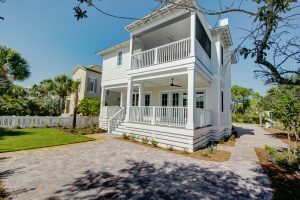 This house is also outfitted with Smart home technology for lighting, security, and HVAC and wi-fi throughout. 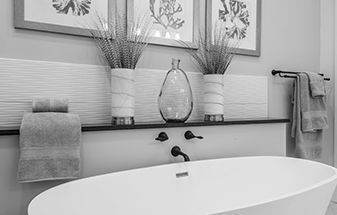 Complimenting this list of features is the superb craftsmanship and 2-10 Home Buyers Warranty that comes with every BetterBuilt home.